Join Us For A Labor Rally Near You! 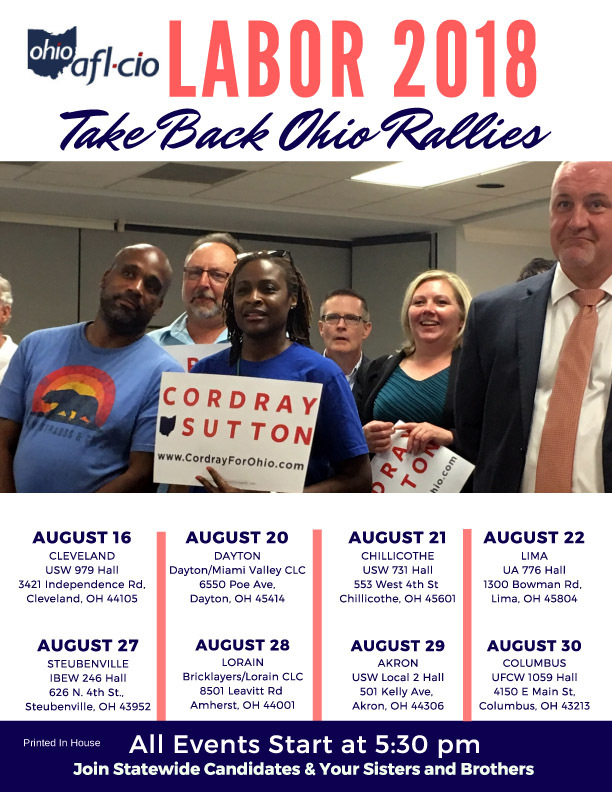 Our Labor 2018: Take Back Ohio program will be hosting another round of events across Ohio and I hope you can make one of our eight events to hear from our endorsed candidates. We look forward to you joining our Labor 2018 Leadership Team and our endorsed candidates at one of these events! Food will be served at 5:30 p.m., the event will begin at 6:00 p.m. and will end around 7:00 p.m. 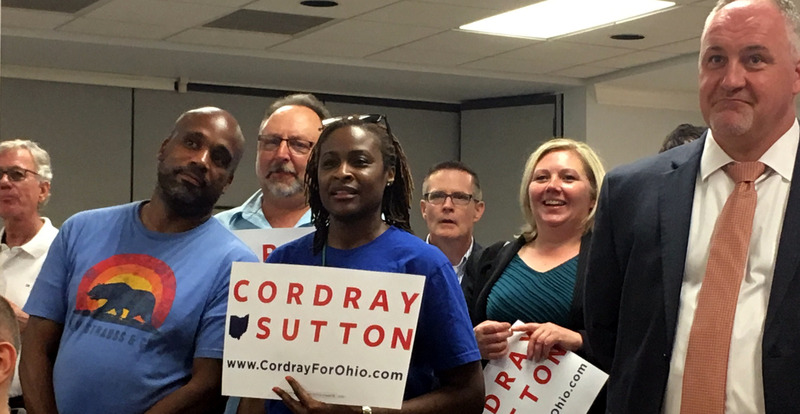 Please bring your family, friends and co-workers and join your sisters and brothers as we continue our Labor-to-Labor campaign to Take Back Ohio!